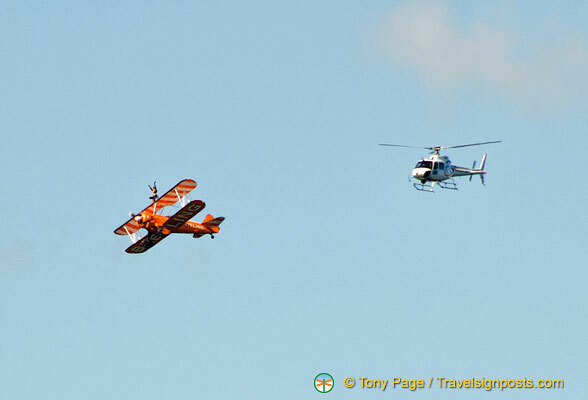 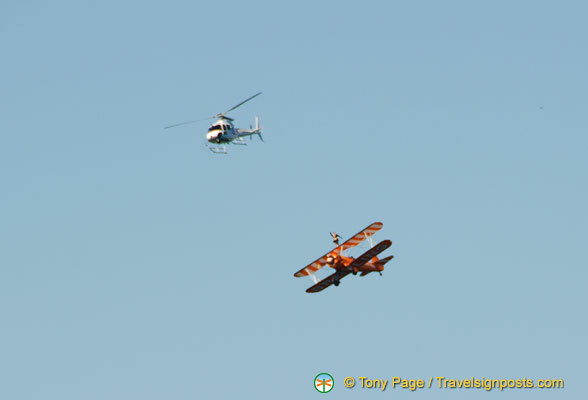 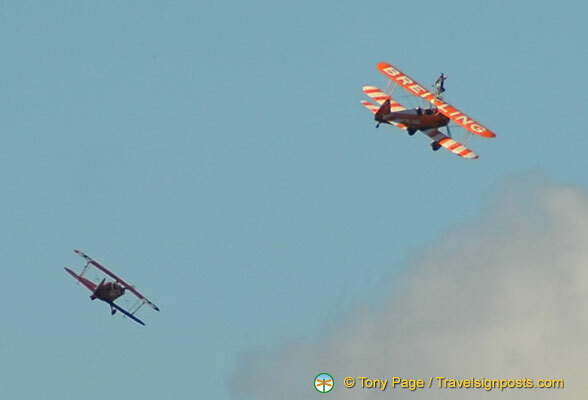 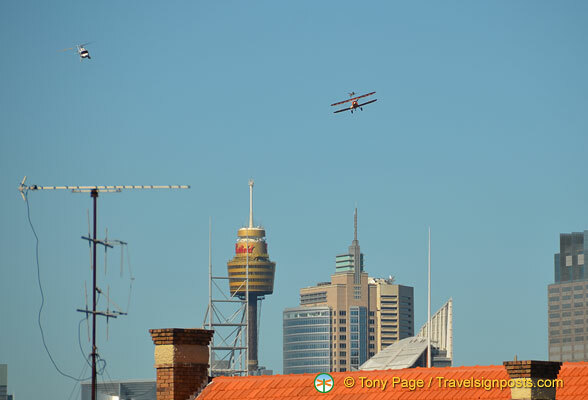 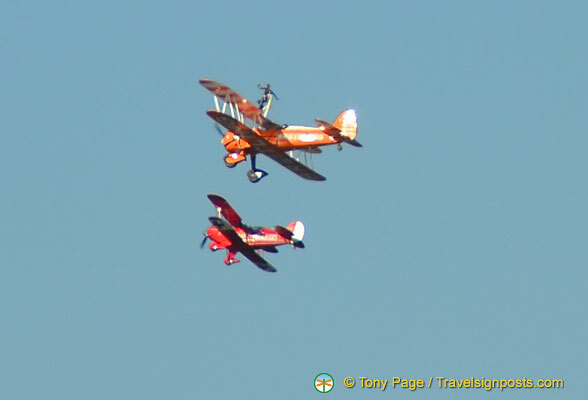 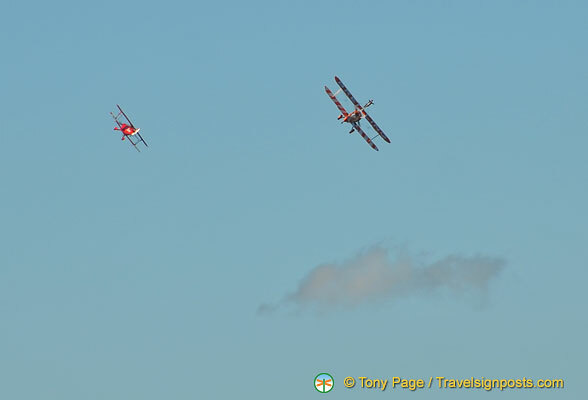 Barnstorming Retro Aerobatics Shot Over Sydney – Captured From My Balcony! 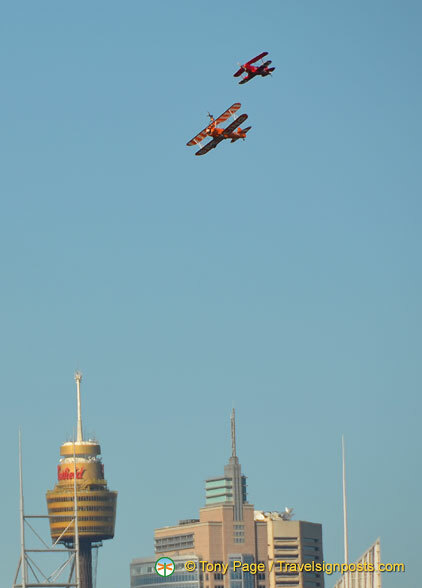 Swiss watchmaker Breitling’s commercial shoot of “wing-walking” aerobatics disturbed me from the perusal of my morning paper – a couple of biplanes and a helicopter are quite noisy – so I grabbed a handy camera and shot off a few frames from my balcony in Cremorne Point. 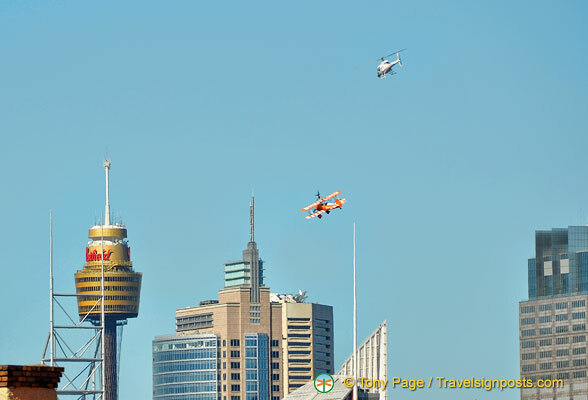 Not the sharpest, but hey, no chance to grab a bigger lens (OK, I couldn’t be bothered, I needed my coffee).